If the roof on your home in the Troy, Illinois area has been affected by hail damage, it’s important to have it repaired as soon as possible. While it may seem like the shingles on your roof are still intact, hail damage can make your roof vulnerable and allow water to leak inside. This can ultimately lead to premature deterioration and the need for a full roof replacement project. 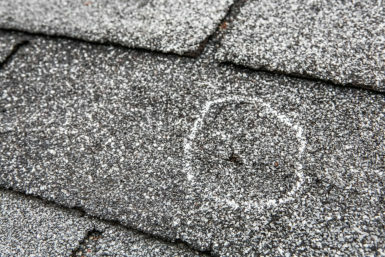 Don’t let hail damage turn into a costly roof replacement project. Contact Daech & Bauer Roofing today to have the roof on your home in the Troy, IL area returned to optimal condition.